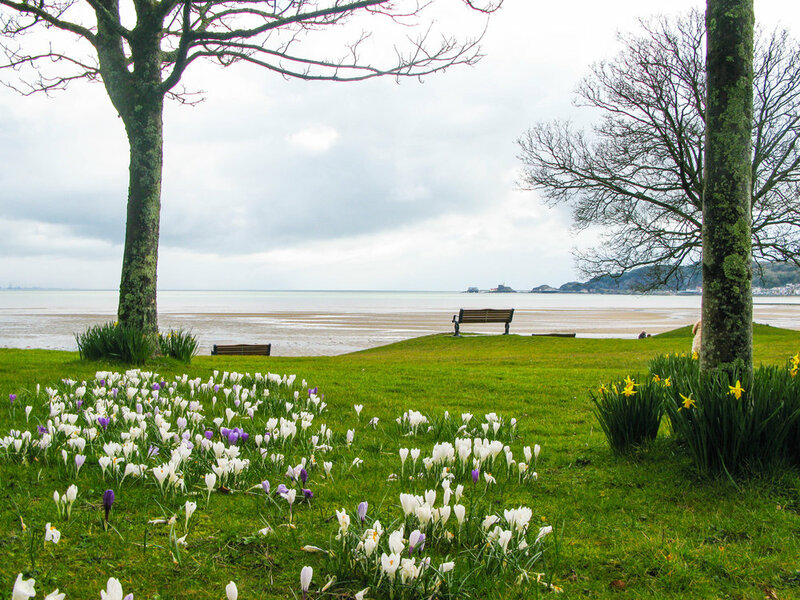 Visitors and locals alike have a soft spot for Mumbles. Although people from outside Wales may not have heard of it, they will find it unforgettable once they've been there. To start with, there's the name, Mumbles, deriving from the French word mamelles, meaning 'breasts' and originally referring only to the two islets at the end of the promontory, but nowadays applying to the whole village. Really, the name should have a permanent exclamation mark – Mumbles!, like Westward Ho! As indeed should the Welsh word, Mwmbwl! 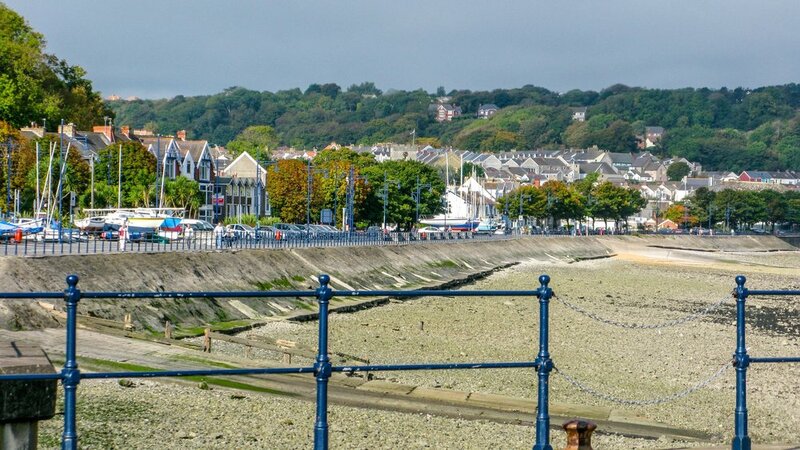 Why is Mumbles so intoxicating? 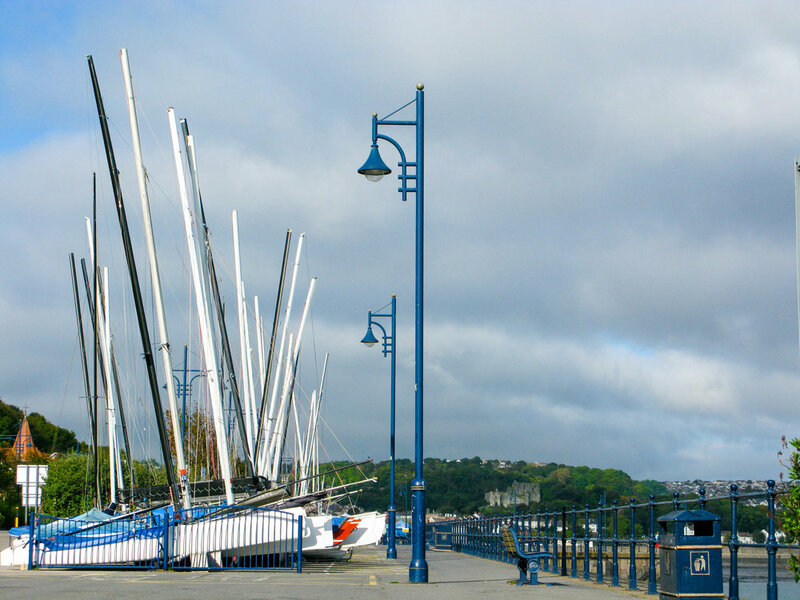 It's not just down to the string of seafront pubs along the famous Mumbles Mile. It must be something to do with the light, the way the bay acts as a giant mirror, amplifying the opalescent sunlight on a fine day, or making the sunlight shimmer if the tide is in with white horses skimming the surface, when the old stone and render of the buildings take on added colour, and everything looks like a perfect seaside resort. Then, when clouds are racing across the sky, everything turns into melodrama, more Celtic twilight than European, and rays of sun catch the hills surrounding the bay and turn them livid green, then damson, then rust, as the sea changes from black to silver. 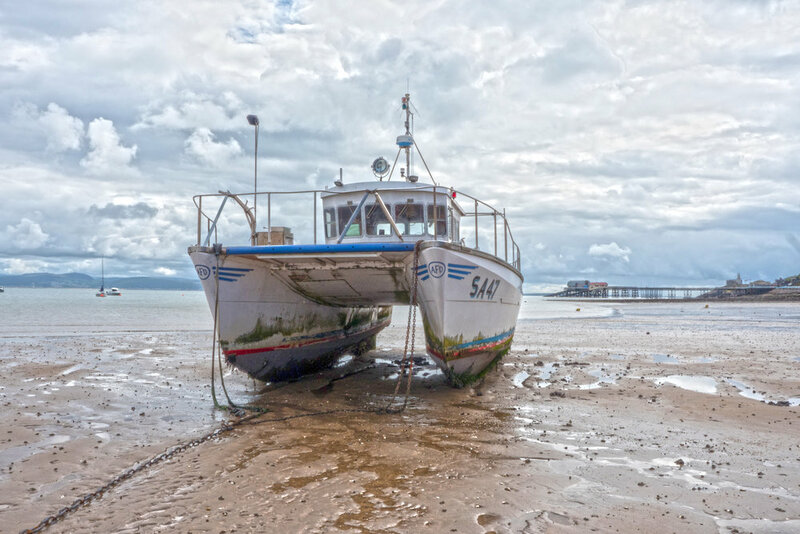 First and foremost, like all the best places to visit, Mumbles is a real place where people live and work, and visitors fit in around them and don't take everything over. They say that once people start living in Mumbles, they never leave, and who can blame them? Most of what everybody wants is at their fingertips: a true sense of community and history, a proper Norman castle on a mound with flags fluttering from its towers, plenty of good shops, cafés and restaurants, pubs that are 'locals' like all pubs used to be, magnificent landscape, sandy beaches as sought after by surfers as they are by families with small children, and great walking. And all of this lies next door not only to a designated Area of Outstanding Natural Beauty, but to the second city of Wales. 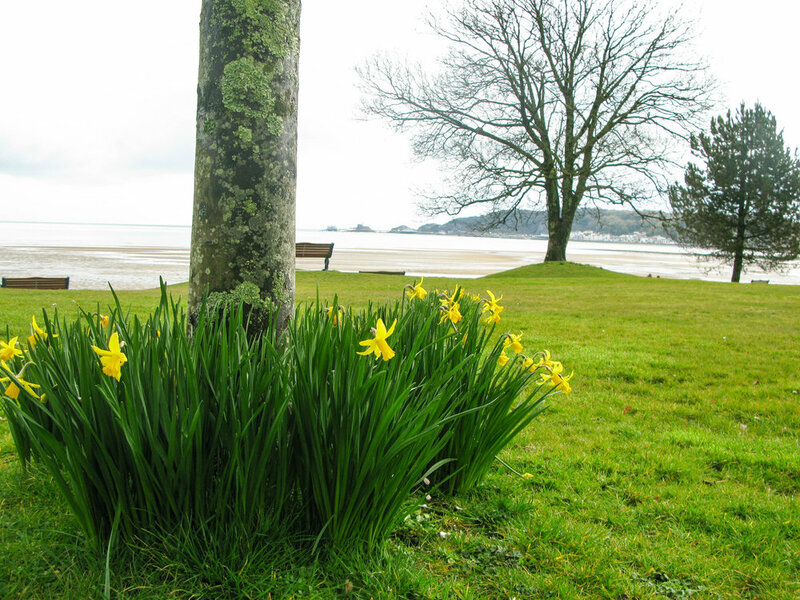 According to the Sunday Times, Mumbles has the list of topped of best places to live in Wales. If you visit by car on any decent weekend, and certainly in the summer season, be aware that like most peninsulas, there is only one way in and out. However, any delays are certainly softened by that wonderful view. Meeting Mumbles Road at right angles by the White Rose pub, Newton Road is the high street of Oystermouth, as this part of Mumbles is called. 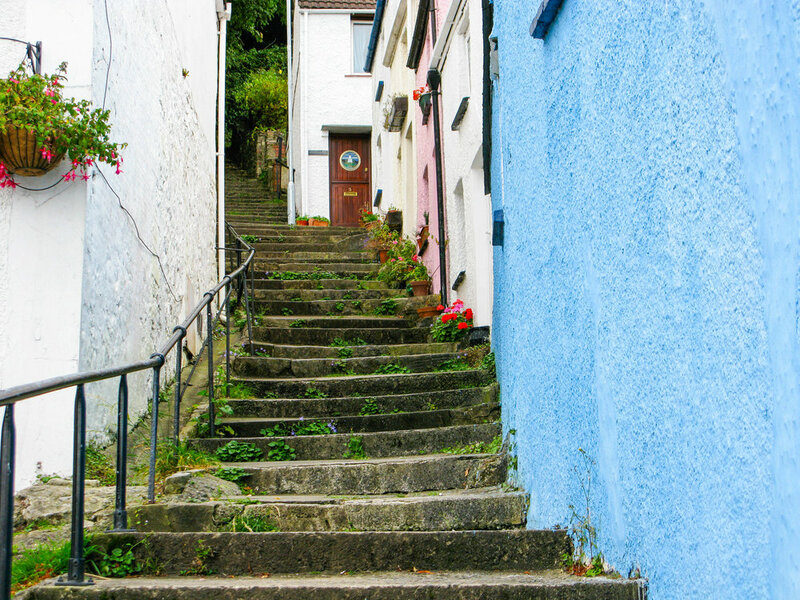 It leads to the two European Blue Flag bays of Langland and Caswell. Halfway up Newton Road, the view opens up on the right to reveal Oystermouth Castle, strikingly placed on a green hill. 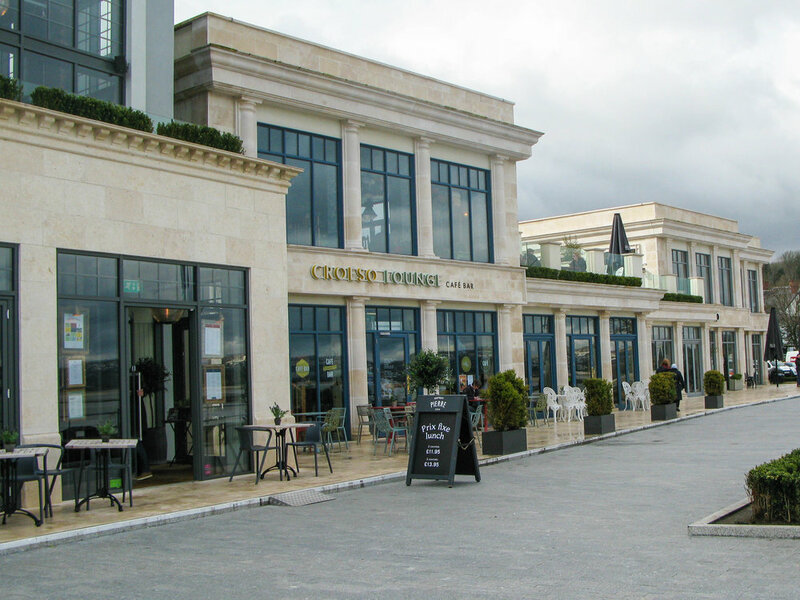 There’s a satisfying mix of shops, becoming progressively more stylish and designer the further up the hill you go, with some good restaurants and cafés.Back down at the junction with Mumbles Road, we are about a mile away from Mumbles Pier. If your legs are in good order, it’s a comfortable, flat stroll, with much to see and savour along the way. As well as the famous pubs, some of them not much changed since Dylan Thomas’s day, there are restaurants of real distinction, excellent ice-cream parlours, shops selling original crafts, tennis courts, crazy golf and a playground, and the famous Mumbles lifeboat station. Although this is a seaside resort, don’t expect to find much for the bucket-and-spade crowd along the promenade, as the beaches are on the other side of the headland. The pier, however, is a complete family attraction in itself and certainly makes the walk worthwhile. If you have the energy, detour up any of the streets to catch the true flavour of Mumbles. You will find narrow, winding streets with tiny cottages, where fishermen and quarrymen once lived, and increasingly dramatic views the higher up you get. Beyond the pier are two small, sheltered beaches, Bracelet Bay and Limeslade. From Bracelet Bay there are fine views of the 18th-century lighthouse and 19th-century fort on the outer islet. In clear conditions, you can see the coast of Devon from rugged Limeslade, which is perhaps more smugglers’ cove than beach. Between the two, you can pick up the well-maintained, switchback coastal footpath, which continues along the edge of increasingly wild, wave-battered cliffs for about a mile to the glorious Langland Bay, lined with traditional beach huts, and onwards to Caswell Bay. Both are excellent, clean beaches with plenty of sand and rock pools, traditional seaside amenities and substantial car parks. Langland also has tennis courts. When the waves are up at either Langland or Caswell, you will probably witness some spectacular surfing at all times of year. Sailing and other water sports are also much in evidence all around Mumbles. 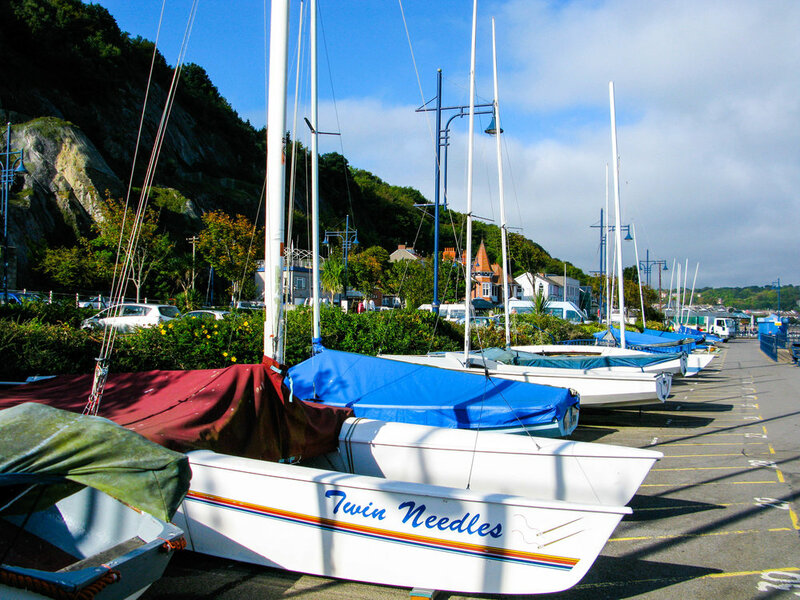 Mumbles is the largest village in the Gower and as good a base as any for visiting the peninsular. For those who like some bright lights after a hard day in the open air, its main advantage compared with the rest of the Gower is its wide choice of amenities and nightlife. Good cuisine of all kinds is readily available, and many of the pubs also offer very decent, generously proportioned food. There is a broad mix of hotel, guesthouse and some self-catering accommodation, though if you intend to visit in the season you should plan well ahead and book in advance. There is more than enough to see and do, especially if the weather is fine, and you need not fear boredom if the weather proves to be fickle, for then is the time to head into Swansea for the museums, art galleries, Plantasia and so on, or check out the numerous visitor attractions in the Gower and the outskirts of Swansea.